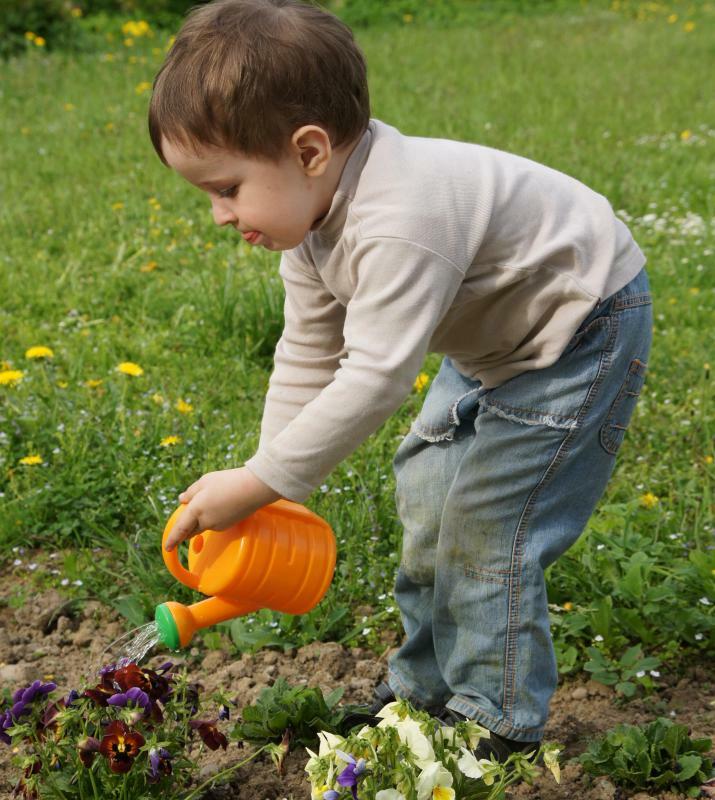 Community gardens can help interest children in gardening. The food grown in a community garden may benefit a local soup kitchen. Community gardening is the planting, care, and harvesting of a garden by a residential neighborhood or a larger group within a given community. Sometimes referred to as community greening, this type of gardening activity is designed to bring residents together and provide a central location where flowers, vegetables, and fruits can be grown. The idea of a community garden tends to be most popular in metropolitan areas, although the concept can be employed in a city or town of any size. A community gardening project is usually initiated by a group or organization within the area. Neighborhood associations, local houses of worship, and other non-profit organizations in the city or town have been known to start the initiative for the establishment of community gardens in metropolitan areas around the world. Often, these groups of citizens will take the idea to the local municipality and obtain official support for the project. In some cases, an urban garden is situated on vacant property that is owned by the local municipality. There are a number of benefits associated with community gardening. One immediate advantage is that it provides young people with the chance to explore firsthand the process of growing food and other types of plant life. For children who grow up in inner city areas, a community garden may be their best chance to observe and be involved in a farming project. Adults sometimes participate in community gardening projects as a means of stretching the food budget. Along with providing fresh fruits and vegetables for consumption, the urban farmer also enjoys an activity that helps to ease the daily stress of work and family demands. At the same time, community gardening allows everyone in the neighborhood to develop closer ties, which in turn makes the community as a whole safer and a more pleasant place to live. Houses of worship and non-profit organizations sometimes initiate a community gardening project as a means of giving back to the wider community. The food produced from the garden may go to local homeless shelters or food banks for distribution to people who are unable to buy food for themselves. 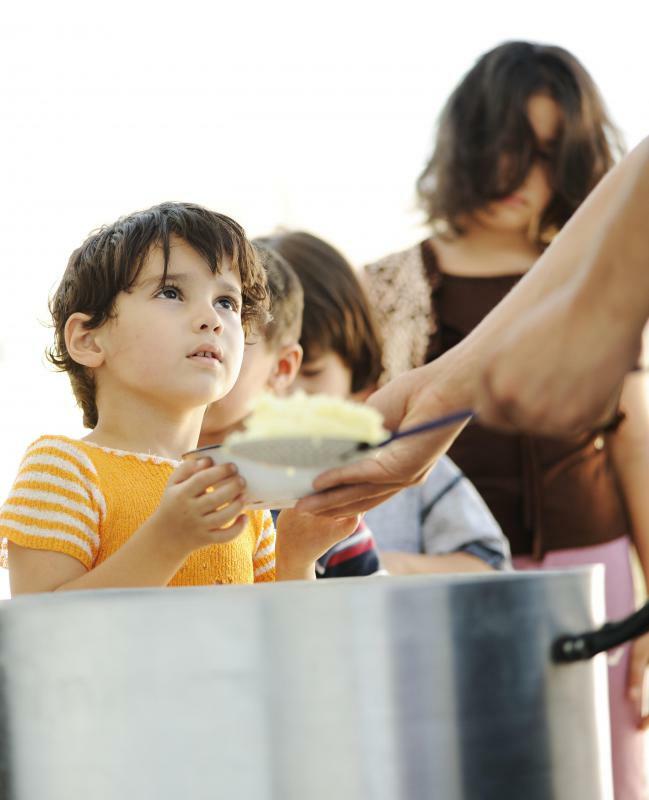 At other times, the produce is sold and the money collected from the sales is used to support some type of ongoing community charity or activity. There is no one ideal structure for community gardening. For the most part, the project will be shaped by the needs of the local community and governed by any laws that would be relevant to the size and location of the gardening effort. Some approaches are referred to as guerilla gardening, in that there is very little organization or supervision to the project. In other cases, there is a specific committee elected by the participants of the project, and a set of rules and regulations enacted to keep the project running smoothly. While the idea of community gardening was once considered a novelty, more areas with high concentrations of population are taking to the idea. To this end, there are now associations and support organizations in many countries that can assist local communities in establishing this type of project. What are the Different Types of Garden Gloves?